Our Every Tie Has a Story! This Exceptional Quality Pure Silk Necktie was made specially for Latvian Presidency of the Council of the European Union 2015. The same design Tie was worn by European Commission President Jean-Claude Juncker. 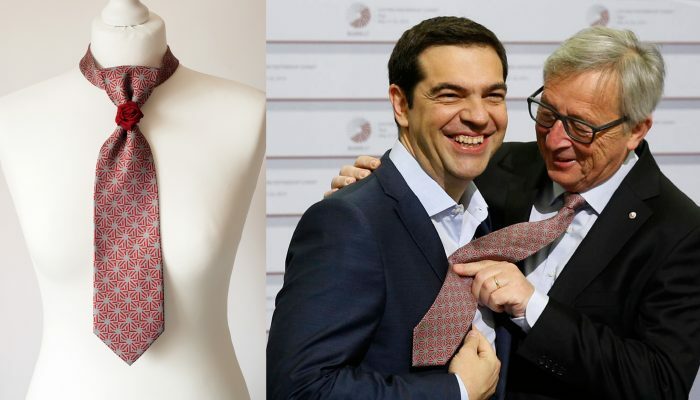 The iconic moment was captured when he pushed it against the shirt of Greek Prime Minister Alexis Tsipras and tried to convince him to wear a tie.